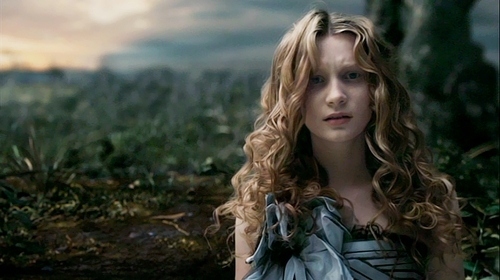 alice. . Wallpaper and background images in the Alice in Wonderland (2010) club tagged: alice in wonderland tim burton mia wasikowska. This Alice in Wonderland (2010) photo might contain کاک کپڑے, میان, کوکٹیل, لباس, پورٹریٹ, آرچر, closeup, تصویر, and ہیڈشوٹ.